The best Phuket romantic restaurants make full use of the fact that eating Thai cuisine is generally a social experience. As with Indian and Chinese meals, the best way to enjoy this unique and enticing food is to order a selection of dishes to share and have a little bit of everything. It is also, coincidentally, the most romantic way to dine. Particularly in western cultures, the trend is to eat alone. We may be sat at a giant table with dozens of other people around us, chatting and flirting, but we are still eating alone. We order the one dish we want, it is placed in front of us, we eat it – here endeth the meal. Whether you are at a wedding feast or eating a microwaved meal-for-one in front of the TV, the same habits persist. However, it has not always been this way. Long before Phuket romantic restaurants even existed, when eating was something we did purely to survive, rather than an enjoyable experience in its own right, sharing food was the ultimate expression of care and consideration. It is essentially telling someone that you want them to continue to live. It is the reason why one of the romantic things you can say to your partner is “have you eaten?” It demonstrates the most fundamental level of concern for their wellbeing. There is also the psychological aspects of certain foods to consider. Some are thought to be aphrodisiacs, though the science is a little fuzzy on the subject. Spices, in particular – so prevalent in good Thai food – are thought to increase the libido and stimulate the nervous system. Even if that kind of impact is tricky to accurately measure, there’s no denying that chillis will make your mouth, tongue and lips more sensitive. There is a reason why it is said that “the way to a man’s heart is through his stomach”, just as there is a reason why first dates so often involve a good restaurant. The reason is that romance is much easier on a full stomach. Feeling relaxed is the important part and a good meal, perhaps with a bottle of good wine, is key to that. Add in a beautiful beachside setting like that of the very best Phuket romantic restaurants and romance is all but guaranteed. Sharing your dishes just adds to the intimacy, demonstrates absolute trust in each other and creates topics for conversation. 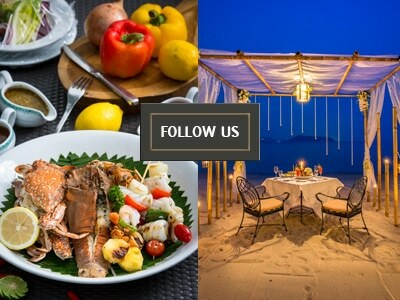 If you are in Phuket and are looking for a romantic restaurant, make sure to visit Nakalay Beachfront Dining and dine in the most romantic private candle-lit cabana.